The Baron Hotel has seen the likes of Kamal Attaturk (founder of Turkey), Lady Louis Mountbatten, archaeologist Sir Max Mallowan(Agatha Christie’s husband). None more famous than T.E. Lawrence of Arabia. 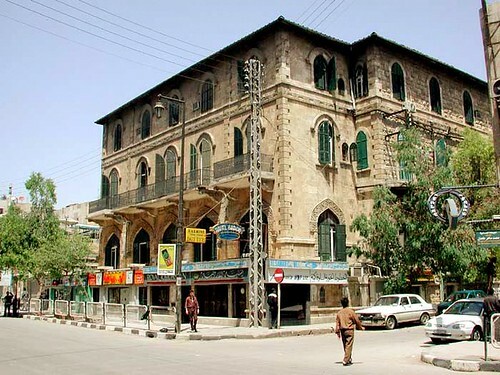 Lawrence stayed here regularly 1911-1914 when working as an archaeologist in nearby Carchemish. The hotel still proudly displays T.E. 's unpaid bar bill and a leather-bound guest book sporting such names as author Agatha Christie, US president Theodore Roosevelt and Aviator Charles Lindbergh. The 40-room Baron may not be the swankiest place in town, but what it lacks in modern sophistication, it more than makes up for with charisma. A double room including bathroom and breakfast costs around 45$. what an interesting story.. especially the guest book lists! Very interesting post..keep it up! I hope I can go there sometime soon. It would be great to be in the same room where famous people once stayed. I'd chose the room of King Faisal or T.E Lawrence! As a proud Halabi, I was delighted to finally see a Syrian Blog mentioning my city. It seems to me that all the Syrian Blogs and Bloggers are about or from Damascus, and I am not sure why!! I visited this hotel several times. It is currently owned by an Armenian family. The building itself is in a good shape, but the quality of its rooms is very bad, due to lack of government funding and poor management…. Anyway, thank you very much KHAYTOH! Thank you Dina for your post. Keep up the good work. Halab, Aleppo, has many interesting and historical places, but actually it's not the fault of Damascene bloggers because they live in Damascus, that's why most of their posts are Damascene..
and i think yought of Aleppo have to be more aware of their city..